Let's see how you can run and debug your uber or hollow JARs in the form of a WildFly Swarm app from NetBeans with this simple tutorial. Java EE developers using NetBeans are used to being able to run and debug their thin-WAR applications in their application server of choice directly from NetBeans. When developing microservices packaged as über-or hollow-JARs, you expect the same effortless way of running and debugging. The good news is that you can. 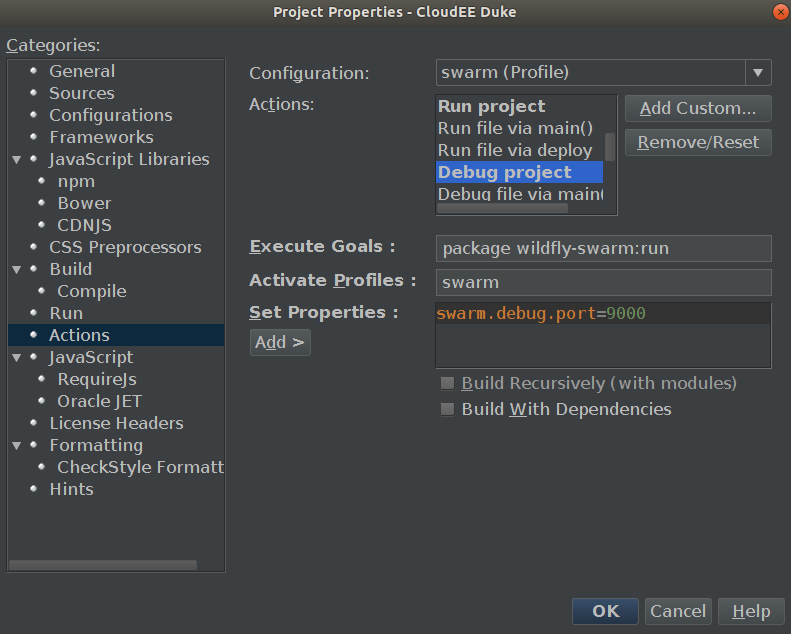 In this post, I show step-by-step how to run and debug the WildFly Swarm version of CloudEE Duke in NetBeans. 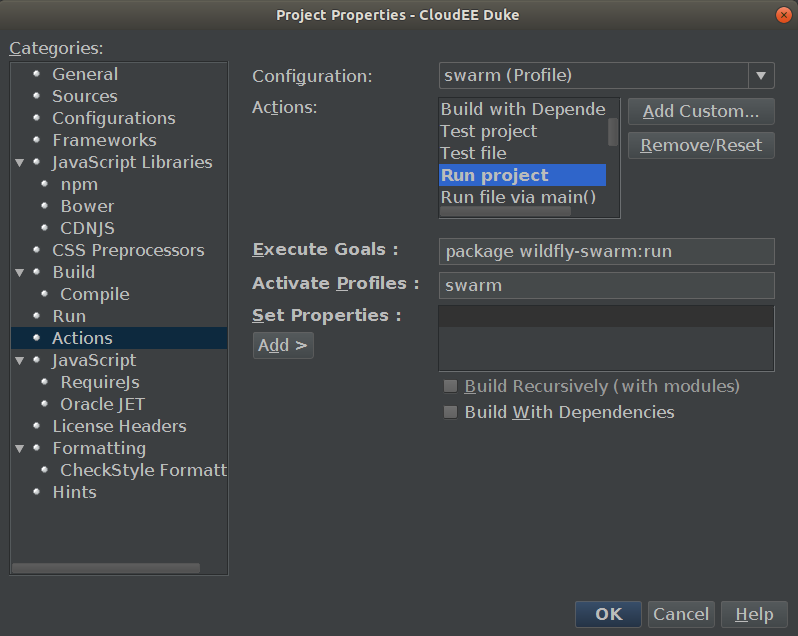 The easiest way of running CloudEE Duke in NetBeans is to edit the Run project action for the project. Right click on CloudEE Duke, select properties, then Actions as shown below. Configure the Execute Goals to package wildfly-swarm:run, remove all the default properties, and you're all set. Run Project (F6) will start the application using the WildFly Swarm Maven Plugin. To enable debugging, you follow the same steps as described above, but in this case, it is the Debug Project action you select. Debug Project (Ctrl-F5) will start the application in debug mode. Note that the execution will halt while waiting for the debugger to attach. See the screenshot below to see how it will look in the log. Then navigate to http://localhost:8080/hello. The execution will stop at the breakpoint at line 16 inHelloWorldEndpoint.